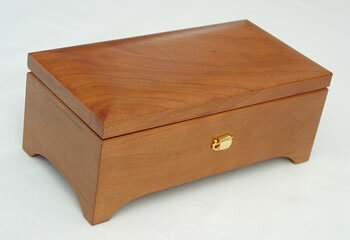 This Sweet Cherry Music Box has a warm, inviting look and feel which complements any 50 Note Tune you may choose for it. The effect of this box is like a dessert after dinner. The rich resonance, elegant design and truly fine craftsmanship are delightful. 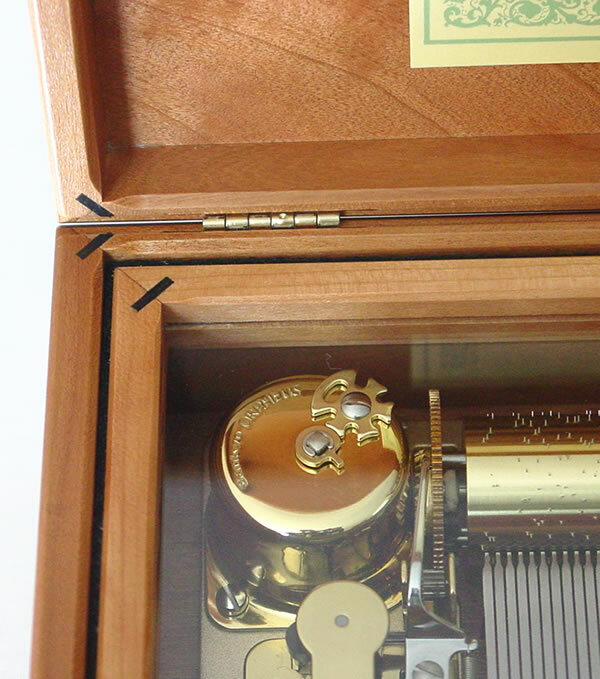 The only thing this box is missing is your choice of musical movement and - its owner: YOU! Installation of our movements is free of charge. Other types of movements may not fit the same holes. 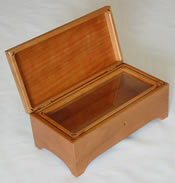 These pictures accurately represent the style and quality of the boxes we offer. They should also give you some idea of the general range of color and of the kind of graining that the species of wood exhibit. However, as wood is a natural product which varies in color, grain and texture, the box you purchase will not exactly match the box in most of our pictures. Also, the color may vary somewhat from our pictures. 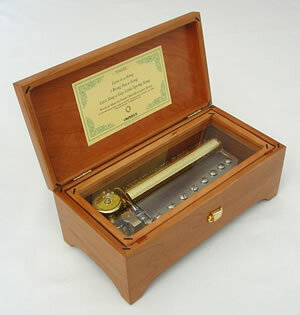 Including the 50 note movement you choose, your total price for the Sweet Sweet Cherry Music Box could be $640. Contact Us if you would like to be notified when available.